A Brighton student who drowned at the marina last Saturday jumped into the water after suddenly becoming agitated during a night with friends, an inquest heard today. 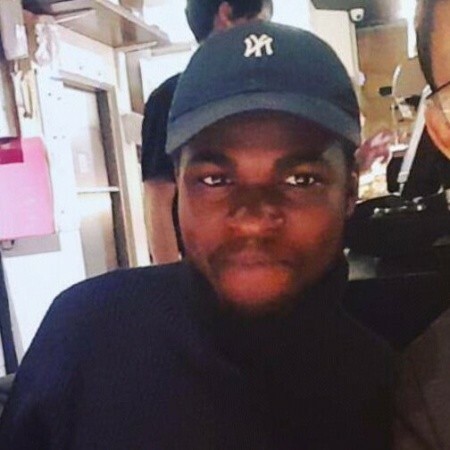 Oluwademilade Adekanmbi, 20, was at his home in Victory Mews in Brighton Marina when he started shouting and punching the wall, then took off his trousers and slippers before going outside. His friends tried to rescue him, but were unable to find him in the dark water. His body was later retrieved by specialist divers. At the opening of his inquest at Brighton Coroner’s Court today, coroner’s officer Tony Beldam said: “On Friday evening, Mr Adekanmbi had been socialising with his flatmates and other friends. In the very early hours of Saturday, when they were preparing food, he suddenly became very agitated and was shouting and punching the wall. “He went out of the kitchen, removed his trousers and slippers, went outside and walked the very short distance to the fence in front of the water and was seen to jump into the water of the marina basin. His friends called 999 and the police and coastguard searched for many hours in a attempt to rescue him, but he wasn’t found. When it was daylight, he could be seen but was too far down to be retrieved and so specialist divers were called. They arrived at about 7pm, and at 8.15pm his body was recovered. A post mortem found he had died of drowning. Toxicology reports are outstanding. Assistant coroner Catherine Palmer adjourned the inquest set a date for a full hearing of June 4 at 10.30am, where evidence from Mr Adekanmbi’s GP, Sussex Police and the friends who were present when he died is expected to be presented. Mr Adekanmbi was a third-year computer science student at Sussex University. Before that, he lived in Lagos, Nigeria. He is survived by his father, mother and sister. Terribly sad. I’m so sorry for Olu, his family and friends.